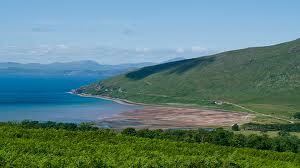 Applecross and the area has an abundance of historical places and monuments. 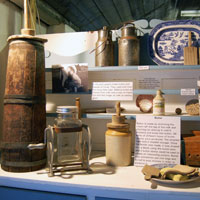 The Heritage Centre has on display an array of artefacts and objects mainly from the 19th century. For those interested in finding out more about the history and culture of Applecross, this is a must visit. 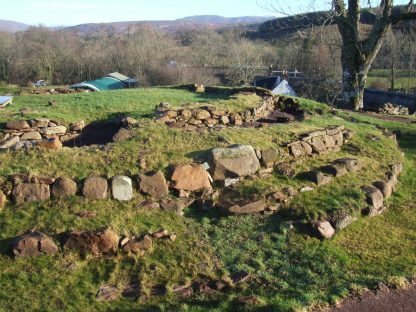 The recently excavated & presented broch is probably the most accessible and is at the side of the campsite. It is iron-age and is at least 2000 years old. 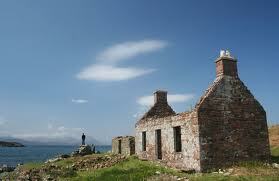 The Applecross House is from the early 17th century and was the seat of the MacKenzie Lairds of Applecross. It is not open to the public, but some of the outbuildings have been converted into holiday homes. Tthe historical remains of buildings and townships lie all around. You will be able to pick up a leaflet on the history of Applecross's that will show the location of the Clearance & TB villages, round houses, Lime kilns, Farms, Mill Pond, Big House, and Broch. 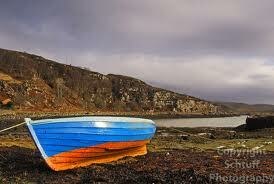 Applecross is a place of tranquil beauty where you can relax and let your hair down. Its wonderful isolated and secluded sandy beaches make the perfect places to barbecue and have fun. In the evening the massive sky can give you a display of jewelled stars for endless gazing, If your lucky it's likely that you'll see shooting stars to make a wish on. 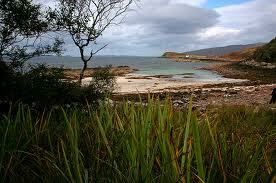 The beaches at Ardban & Coirreghille are probably the most picturesque beaches in Applecross. They are situated in the south of the peninsula on the way to Ardubh. About 500 meters from the turn off to Ardubh there is a dirt track on the left which you take (dogs should be kept under control). 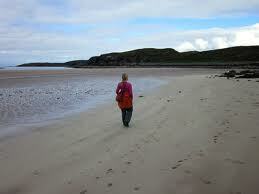 The walk to the beaches takes about 40 minutes to get to the first beach (Ardban). Most people only go this far, but when the tide is down the Coirreghille beach is just as good, if not better. These two beaches have some unusual features firstly the sand; it's not sand but calcified seaweed called 'maerl' it has the appearance of white coral, for which the beach is most commonly known. At the north end of Ardban beach the eroded rock formations have a unique quality, which allows the kids or big kids to clamber over and explore them. The rock pools at low tide are full of life from small fish and prawn to occasionally an edible crab or lobster. You can fish from the shore or rocky out crops for pollack, whiting, and mackerel (May to August), If you are lucky enough to catch something you can easily barbecue it on the shoreline, (not the grass )and please tidy up and take away any rubbish with you. 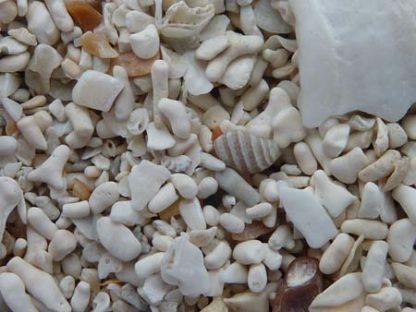 The beaches are not good for sand castles, but are great for collecting shells of every description, keeping the kids entertained for hours. From May to October the grassy area above the beach has its fair share of sheep and their droppings on it, so inevitably there is a bit of a problem with tick, to minimise the risk of collecting them put tick repellent around the bottom of your trousers and around your boots & socks. There is no access to drinking water at these beaches so you should take a plentiful supply with you. And in the months between June and October make sure you take Midge repellent if the weather is dull, still and damp. Repellents are available from the Visitor Centre. 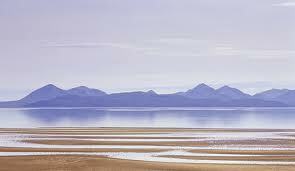 Applecross Bay is unmissable if you visit Applecross. It is the centre of the area and dominates almost every view from when you arrive over the Bealach to your pint at the Applecross Inn to even when you are bedding down for the night at the campsite or in any of the holiday homes from Cruary to Milton. The Bay is steeped in history; at the head of the bay lays Clachan where 1300 years ago a monastic settlement was established, at the south side of the bay there is a 19th century spout well and across the road the Holy Well that supplied water to a monks cell 800 years ago (folklore). In this area you can make out a crescent shape of rocks in the sand, this is arguably the largest fish trap on the West Coast. 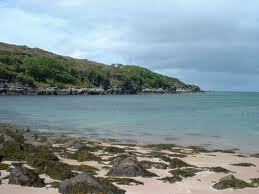 This is where you will find the softest sand in the bay and also the warmest water, for swimming, when the tide is in. Applecross River (locally known as the Salmon River ) cuts the bay in half. When the tide is out the sand stretches from Milton to the river mouth, the shore line however is stony except at the head where the estuary is, here river pebbles litter the immediate area. On the north side of the river grass covered sand creates a lovely spot to picnic although its a long way to paddle out to get enough depth for swimming. When the tide is at its lowest you can collect razor fish, and cockles for a tasty impromptu barbecue. The grassy strip next to the road presents as an ideal place to park and picnic while keeping an eye on the children playing safely on the beach. A number of picnic tables are provided and if shade is required , there are a couple of trees. This area should be kept for this use exclusively and is not suitable for 'wild camping'. Toscaig probably should not be in this section as it is not a beach that you can roll out the sun loungers on, however on the south side of the pier there are rocky outcrops which are great for exploring and climbing on. The reason for including this beach is because of the sea fishing from the pier. 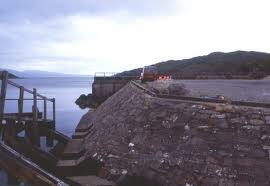 It is probably the best place in Applecross to fish from. That is if you don't want to walk any where. There is no ferry from here any more, and because of its exposed position to the south westerly prevailing wind the fishing boats rarely off load their catches. It is some times used by visiting yachts, but not very often. The deep water in the loch makes it great for feathers or spinning and you can catch every thing from Rock Salmon (dog fish) to mackerel an hour either side of slack tide. With a kids fishing net at low tide its possible to catch sea urchins and sometimes crab from the rocks and rock pools around the south side. Midges aren't usually a problem because of the exposed nature of the area, but as a rule I would never go anywhere intending to sit still without repellent, between the months of June and October. There is an element of danger at the pier and care should be taken with small children the same as around any open water. Lonbain Beach is not sandy, but can appeal to the more adventurous outdoorsy family, it being a great way of keeping the kids exercised and occupied; all you will need is your seaside guide and take a tour of the rock pools. 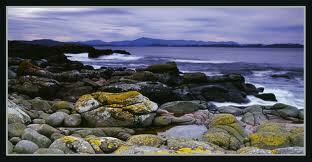 The beach is covered with boulders of all different sizes making it a great location. Creatures living in coastal rock pools must adapt to the water being heated by sunlight and diluted by rainwater making quite a harsh environment; creatures you are likely to find are anemone. Anemones are animals which are found all along the shoreline. Their tentacles have hooks on the end for capturing animals which they eat, limpets, periwinkles, hermit crabs, and if they are lucky sea urchins. 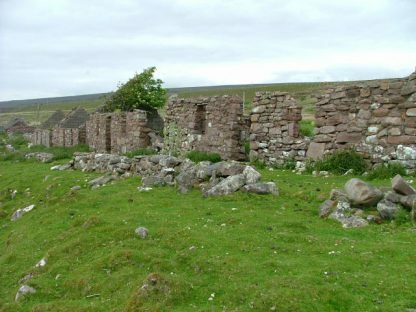 Also at Lonbain is the deserted old village which was made up of 7 houses they have been inhabited since the early 19th century to 1980, the people living here relied upon crofting and fishing but had to walk to Fernmore about 5 miles from Lonbain as there was no shelter for mooring. When they were not working to survive they were working unpaid at clearing the bridle path to Applecross to improve communication and so the postman could deliver the mail round. The last black house in the row belonged to Donnachadh which is Duncan in Gaelic he had lived in the village all his life and finally had to leave the village in the 1980’s. 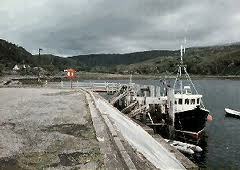 Due to the road not connecting between Applecross and Kenmore till 1974 and economic migration the final fate of the village was sealed. Cuaig Beach is a large expanse of beautiful sandy beach approximately 1.25 miles from the road and will take approximately 1 hour. You will need proper walking shoes as though there is a path it is used a lot by animals and can become boggy. If you have a dog it would be best to keep it on a lead due to other live stock in the area. When driving from the direction of Applecross, park on the inland side of the road, just past Cuaig bridge. The walk begins by heading back along the road and across the bridge. Take the path through the gate on right once across the river. It soon passes through a gap in a fence (where there used to be a gate), keeping above the river. Slowly the path slopes down to reach the river bank, passing through another gate. Ahead on this side of the river, the bank has been built up as part of the construction of an old salmon fishing station from the 19th century. 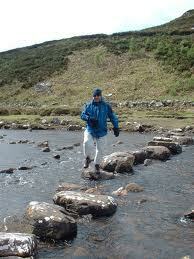 Cross the river using the large stepping stones. On the other side, turn left to head towards the beach. It is easiest to keep just to the right of the old stone walls before heading across to the sands where there are fewest boulders. The beach here has wonderful fine sands, particularly at low tide, and is very rarely visited. The return is back the same way. 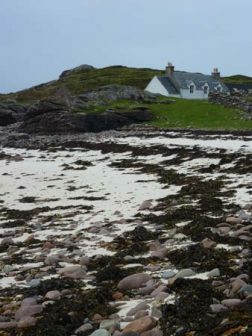 Sand Beach is now probably the most famous beach in Applecross, thanks to Monty Hall and his four legged side kick Rouben. 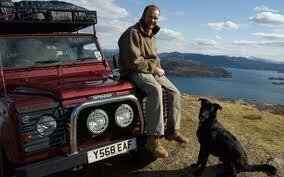 In 2009 the BBC commissioned a program called “Monty Hall's Great Escape” about the ordeals of crofting life. Monty had to live in the shed on the north side of the bay and try where ever possible to live of the land. The series was a great success even if the content was slightly inaccurate. 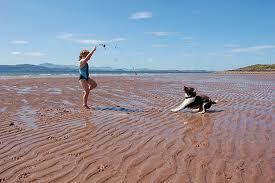 Sand is situated about 5 miles, 15minutes drive around the north coast road from Applecross Bay. There is a car park at the turn off to the beach , and the bay is about a 10 minute walk further across the grass covered dunes. A large sand dune dominates the beach and offers hours of entertainment for the kids and the fit, running and sliding up and down. According to folklore the early in the 1800s a huge storm deposited the dune there over night and ever since then it has slowly moving northward around the bay. A word of warning wear something on your feet as there are small and very large rock within the sand especially at the south side, you can see the area as exposed cliff face poking through the surface. Sand beach offers fantastic sand for castles, graffiti, and sun bathing, there are shells of every size and description to collect and loads of shoreline and rock pools to explore. 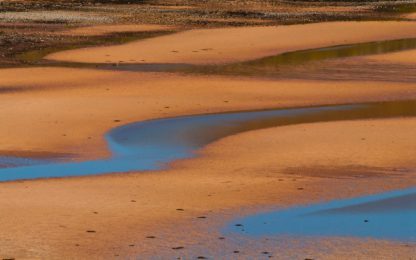 On your visit to Sand beach make sure you take drinking water, midge repellent and jacket and hat, because even on a lovely day if the wind comes from a particular direction, it gets chilly. On the headland on the north side of the bay you can look around Monty's house/shed and around the back is a great example of an old sheep fank which was used as a walled garden and pig pen during filming. You should stay away from the neighbouring MOD station boundary as uninvited visitors are not appreciated. 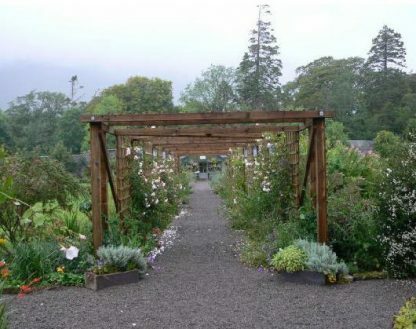 The Garden of 1.25 acres stands in spectacular surroundings adjacent to Applecross House which it once served, in addition to herbaceous borders, an orchard, raised vegetable beds and a herb garden, the Walled Garden is also the site of the popular Potting Shed restaurant. Work on Applecross House was begun in 1675, and it is likely that the garden was created at the same time. For many years the garden was the exclusive domain of the Mackenzie Laird, his family, and team of six gardeners who toiled to supply the 'Big House' with fruit, flowers and vegetables. The walled garden continued to supply the needs of the Big House but with a much reduced team of gardeners of one or sometimes two, until it fell into dereliction in the 1970s following an attempt to grow raspberries which resulted in a large hole being made in the wall to allow a tractor in. A project began to restore the garden in 2001 and has been ongoing ever since. Instead of supplying the big house, the produce is used in the potting shed restaurant. Many of the wall trained fruit trees have survived,and they and the box hedges are being brought back to their former glory. It is a beautiful and tranquil place for a stroll under the Pergola taking in the aromas of the honey suckle, roses and camellias. Refreshments and meals are available at the Potting Shed Restaurant. Gardens Armadale Castle and Gardens are part of the Clan Donald Lands Trust. Clan Donald Skye is a 20,000-acre highland estate on the Sleat peninsula in south Skye. The Garden is 40 acres of fascinating gardens and woodland area. 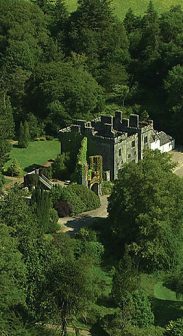 The focal point of The Clan Donald centre is the restored historic gardens, and the beautiful walking trails threading through the 40 acres of woodland around Armadale Castle. Part of the Castle has been restored and the striking ruined remains to create an attractive landscape within the gardens. Plants thrive in this sheltered corner as the mild climate created by the Gulf Stream sea-current makes this a lovely setting for this garden. There are a series of nature trails at Armadale, some of which are accessible to less able-bodied visitors, leading beyond the elegant gardens into areas of beautiful mixed woodlands with trees that are almost 200 years old mixed with young firs and carpeted with bluebells, orchids, wild garlic, and wildflowers in spring and summer the air is filled with their scent. 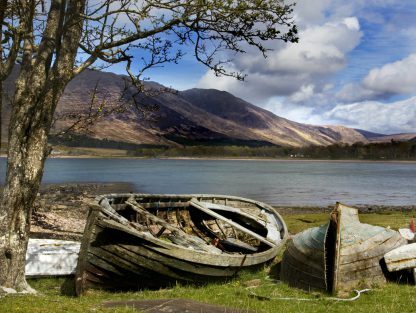 There are a range of walks to suit all with wonderful views across the Cullin range and the Sound of Sleat to Knoydart, and maybe an opportunity to see wildlife in it natural habitat including red deer and golden eagles. The Stables Gift Shop Stables Gift Shop, housed within the restored stables building, offers a wide range of unique and tasteful gifts. 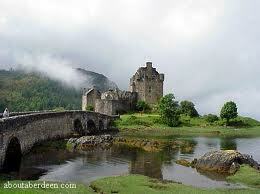 It also carries an impressive range of books, many relating to Highland history, culture and wildlife. The Stables also has a carries a range of quality foods, such Lady Claire Macdonald’s own brand of delicious preserves and sauces and Clan Donald Skye produced venison. Restaurant From April to October our restaurant is open 7 days a week, serving everything from fresh home baking to hearty lunches. On Mondays to Fridays it is open until 8.30pm for delicious and reasonably priced evening meals. Sunday lunches are a highlight of the weekend, with a selection of succulent roasts and tasty puddings. If you wish to book a table in the evening or for Sunday lunch please phone 01471 844774. The Stables is also available to hire as a special venue. Please contact our Visitor Services Manager on 01471 844 305 to discuss your requirements. Museum of the Isles The history of the Highlands and Islands through the story of Clan Donald. Six interconnecting galleries, each with their own theme, take you through 1500 years of the history and culture of the area once known as the Kingdom of the Isles. The MacDonald’s - or Clan Donald - were the Lords of the Isles and sit at the heart of the history of Gaeldom and our museum follows their story and that of the Highlands. A seventh gallery hosts an exhibition that changes each year. Audio guides in several languages and for the visually impaired are available. Young visitors can enjoy exploring the museum with our children’s trails. There is a lot to see, so allow enough time. Most of our visitors spend between 45 minutes and 1 hour in the museum. You will need more time if you are researching your ancestors and planning to use the genealogical resources in the library, which is housed in the Museum. Created in the late 19th century, hill paths meander through 20 acres of conifers and rhododendrons. Transformed after the 1980 storms, the gardens are designed to frame the magnificent views of Skye and the surrounding hills. Water Gardens The first thing visitors see as they enter the garden at the top of the drive is a dark, shining, lily-filled pond. Opposite it is the gatehouse with information, maps and postcards for sale. The Old Rhododendron Walk Above the ponds, along the old rhodendron walk, rowan, maple, cherry and birch have been planted to provide a contrast with the dark green of the rhododendrons and the sheltering conifers. The Sunken Garden South west of the house the old sunken garden is surrounded by dry stone walls and hedged with Rosa rugosa and Azalea luteum. The Giant Sundial To the west of the house is a giant sundial, 35 feet across. The style or gnomen carved by Graciela Ainsworth from Edinburgh is supported by the rampant wild cat of the Skye Macphersons. The stone work is cut and laid by Tom Nelson and his team from Drumnadrochit. The Viewpoint The rocky viewpoint at the end of the rhododendron walk is reached by a specially built stone stairway to give a view of the Skye hills through the Strome Narrows. 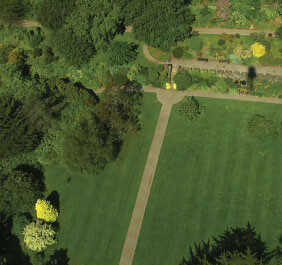 You also get a bird’s eye view of the house and sunken garden. The Japanese Garden The constant flooding in winter and an infestation of Japanese knotweed were the insperation the Japanese garden. Beds were raised, drains were re-laid and it was gravelled. Stepping stones lead you across the gravel. Old Wood After the Japanese garden a path was made through the old wood. You will see on the right a Californian red-wood about fifty feet high after only forty years, a Wellingtonia planted about a hundred years ago and then the Rhododendron dell in an old quarry. Fern Garden In 2003 a geodesic dome was built to house fern collection and the garden now houses one of the biggest fern collections in Scotland now beautifully displayed in an old quarry. Conservatory The conservatory on the front of the head gardener’s house has been remodelled internally this year. The old benches have been replaced by drystone walls. Kitchen Garden The traditional kitchen garden, a legacy of earlier days, where plants are propagated for the garden and for sale, also provides vegetables and soft fruit for the house and salads for the local hotels and restaurants. Tearoom The tea room in the Old Larder is quirky with books to read and an old kitchen range – it is self-service with tea, coffee, hot chocolate, cold drinks and biscuits available. Plant Sales The sales area in the tunnel sells a small selection of ferns and mainly damp-loving plants and gives a chance to meet the gardeners. We are open 10am - 5.30pm April - end October. People frequently ask if they can bring their dogs with them. We welcome well-behaved dogs on a lead who are kept under control. 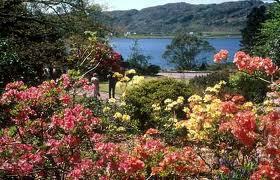 One of the world's greatest gardens, Inverewe sprang from the realisation of one man's dream. 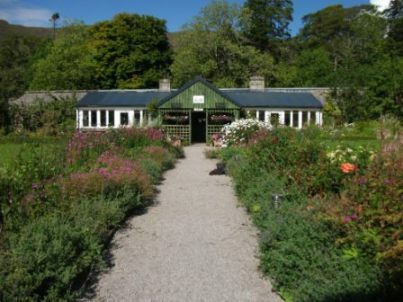 Inverewe Garden was started by Osgood Mackenzie in1862. One of the most beautiful places in Scotland, this 50-acre garden is a haven of exotic plants, bursting with vibrant colour, thanks to the warm currents of the Gulf Stream that flows along the west Scottish coastline. Rhododendrons from the Himalayas, eucalypts from Tasmania, olearia from New Zealand and other species from such far-flung places as Chile and South Africa, all flourish here, in a display that changes with the seasons. In the Garden the season begins early and ends late due to the effect of the North Atlantic Drift. The Walled Garden looks its best in spring through to late summer when flowering bulbs and plants are grown alongside vegetables which traditionally were for the family of the house. The garden has a world class collection of rhododendrons, many of which flower in the spring, the Pinewood Trail and Kernsery Path are stunning all year round as the view changes constantly. The Herbaceous Border in front of Inverewe House is also colourful spring through to late Autumn/early winter. Inverewe enjoys a wide variety of trees and the canopy is colourful all year round but excels in the autumn when the deciduous trees are on the turn. The large collection of Evergreens ensures that even in there is something to see from the differing shades of trees and shrubs and colours of bark to the selection of berries in reds, whites and oranges to the selection of berries in reds, whites and oranges. Look out for the Wildlife Hide on the shores of Loch Ewe where, wading and diving birds can be viewed with occasional spotting of Pine martin and Otter. For many, visiting this beautiful, tranquil place is an unforgettable experience and one which many return year after year to enjoy. 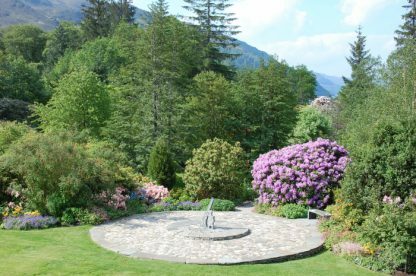 Anyone will appreciate Lochalsh Woodland Garden, which blends mature woodland with 20th century under planting, gardens and terraces with the natural features of the rugged coastline. 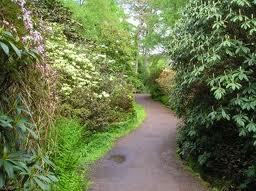 A path gently meanders among rhododendrons, later ferns, fuchsias, bamboos and hydrangea, there are also interesting introductions from Australia and New Zealand. Colour and interest can be found from early spring to late autumn. 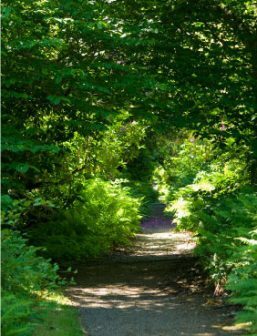 The 2 acre woodland garden with mature Scots pine, oaks and beeches provide pleasant sheltered walks beside the shores of Loch Alsh. One of the signposted walks starts on the opposite side of the A87 from the garden entrance. This trail follows the old coastal footpath to Kyle of Lochalsh (3 miles) and provides a very pleasant alternative to the main (busy) road. Views to Kylerhea are stunning. 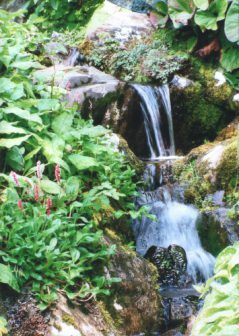 The Lochalsh Woodland Garden is situated 3 miles East of Kyle of Lochalsh on the A87 there is a kiosk by the car park and if no member of staff is present, an honesty box is in place for donations. The garden is open all year and dogs are allowed if kept on a lead. 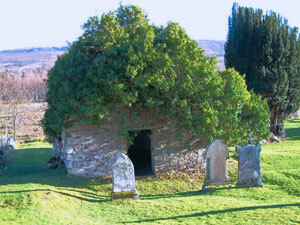 Applecross renowned for its wealth of built heritage, Clachan Church is the latest building on this ancient site. It was erected in 1817 for the then Lairds “The Mackenzie’s”. 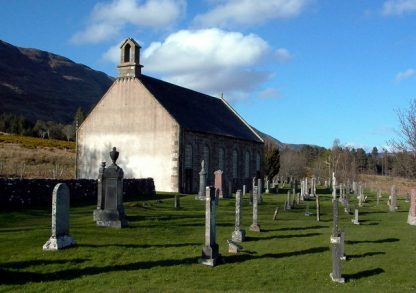 When you visit the church you will find it a peaceful serene place a fitting heritor of the old Gaelic name of 'A Chomraich' - the Sanctuary, the name which Applecross derives. The site was first settled by Neolithic hunter-gathers; the evidence for this can be found in the worked flint scrapers and discarded workings often found in the stream behind the church boundary. The next known settlement was a monastic one, built by Saint Maelrubha around AD 673 as a base for spreading the gospel around the north of Scotland. A testament to this is the places in the area that are named after him such as Loch Maree where drinking from the well on the island and immersing yourself in the waters was supposed to cure mental illness. St Maelrubha died in 801 AD at the grand old age of 80 and folklore has it that he is buried below the small ivy covered medieval chapel between two large beach stones. The Monastery, according to folklore, was destroyed by the Norse men (Vikings) in the 9th century. Fragments of a carved Celtic cross, dating from the 8th century, where discovered during renovations during the 60’s and are now displayed in glass cases in the local Heritage Centre, adjacent to the church. The site extending beyond the existing burial ground is now considered to be one of considerable national and international importance and is therefore scheduled. Today the church is not in the best state of repair, but thanks to the ALPS scheme restoration work has been started. By the summer of 2012 the windows and roof will have been replaced making the building water tight once again, there are also plans to consolidate the ivy covered chapel at the back of the churchyard. The Broch is the oldest heritage building in Applecross, This megalithic building was rediscovered by channel 4‘s Time Team in 2005. Since then the Applecross Archaeological Society has been busy with archaeologists excavating this massive structure. It’s taken six years and now in 2012 with the help of the ALPS grant funding it is ready to be presented as an iron age monument, the only one of its kind the area. Brochs in general have often been regarded as defensive retreats from skirmishes and piracy which is thought to have plagued remote regions in the mainstream of the Celtic world. 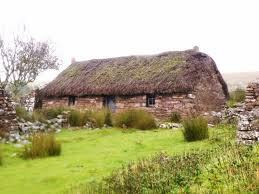 It is only recently that Brochs and Duns have become widely recognised as complex houses. Applecross Broch dimensions are an outstanding testament to the early settlers; it must have been a herculean task to construct. The internal size of the broch is 9-10m in diameter, the outside diameter is 18m, and it has 3.8m thick walls this would act as a considerable deterrent from opportunistic raiding. The ground floor of this multi floored house is believed to have been occupied by the owners' livestock, stores and provisions with the living accommodation located on the upper floors. The causeway leading to the entrance was purposely narrow and steep. It would have made battering the door down with a ram almost impossible. It would have also made leading animals into safety, especially in times of trouble, an arduous task. These houses would have taken a huge amount of resources to construct, so are likely to have been built by the most important members of the community for prestige. Their monumental size would have impressed any incomer to the area and confirm the superior status of the owner. 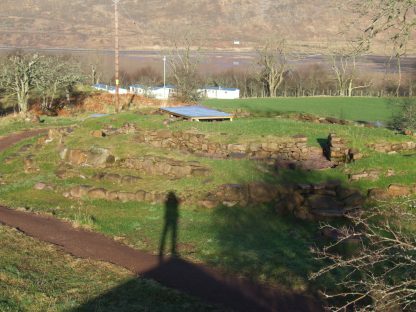 The position of the Applecross broch would suggest that it was defensive to a degree, but maybe only as a last line of defence. 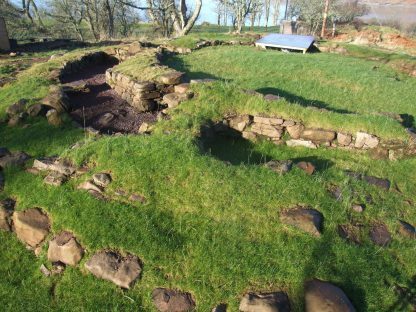 As the position of the entrance seems to be in line with the rising sun (east south-east), it is possible that the Broch could have been used for ritual and religious purposes. As could the large amounts of bones found in the wall fill, but could equally be the remains of the builder’s lunch. It seems probable that, over its hundreds of years of occupation the broch was used for all the above reasons and probably ones that have yet to be discovered. The Broch is situated at the Applecross Campsite on the highest and most southerly end of a glacial moraine running SE to NW. The site has commanding views over the surrounding fields and sea. No visit to Applecross would be complete without an afternoon at the heritage centre, situated adjacent to Clachan Church and behind the old manse it is an easy walk from almost anywhere in Applecross. The Centre was opened by the Historical Society to help educate locals and visitors on the history and culture of this idyllic sanctuary. 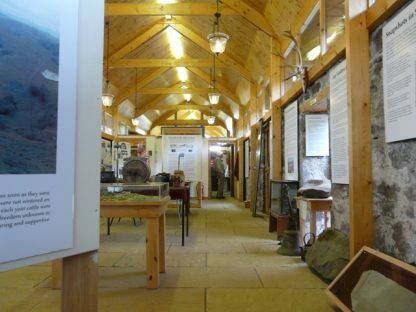 Within the centre there are displays consisting of early records and artefacts, providing a permanent record of past history of the area from the pre history settlers and St Maelrubha to the more recent tourism, crofting and fishing community, which now exists. If you want to research your genealogy the centre has computers that contain further historical and genealogical information about Applecross and also a collection of old photographs. However if your interest is more of a general nature then the informative display panels will guide you through time from pre history to the present day. The centre has numerous artefacts on display. The most famous of which are the fragments of early 8th century carved Celtic cross discovered in the church yard at Clachan. Models include a scale model of what the monastic settlement is believed to be like and a full sized Coracle (early boat). Collections include many 19th century household and crofting implements that make you glad times have moved on. The way in which all the collections are displayed gives a real “hands on” approach to the history of Applecross. The Heritage Centre is run by community volunteers they only ask a small fee at the door about £4 to help keep the centre going there is a small gift shop where local crafts, postcards, and a selection of souvenirs are available for purchase. The Centre is open from Easter to October - Monday to Saturday from noon to 4.00pm. 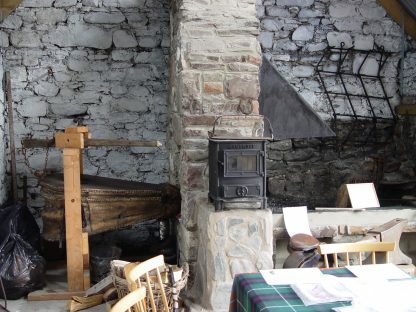 When Debbie and Mike Clark were in Scotland they visited this wonderful old smithy and forge. Such a place as this was an integral part of the life of a blacksmith long ago. 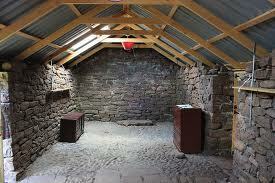 This particular smithy as built about 1820 and used for farrier and agricultural work until the 1950s. 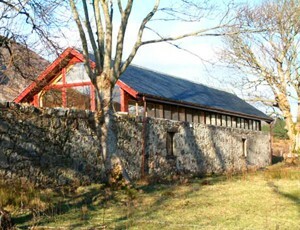 This old smithy was acquired in 1992 as a centre for local history. 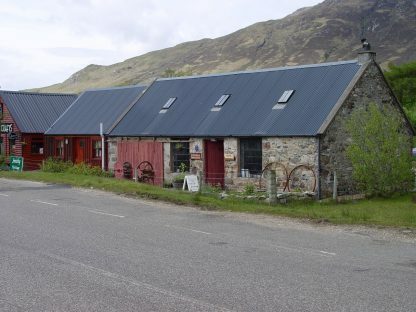 The Lochcarron Smithy heritage Centre has been copying and collecting old photographs and documents since 1900, when they held their first Exhibitions on 'The Way of Life' and 'Shinty in Lochcarron', under their then name of 'the Smithy Trust'. They have received much support over the years since then for this endeavour and they have been very grateful to the many people who have contributed to their permanent collection. They publish a fascinating booklet called "Bygone Years." Debbie and Mike brought us back a copy and we wish that all of you could see the many interesting pictures and captions included in the book. 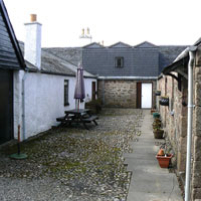 You can write to the Lochcarron Smithy Heritage Centre at New Kelso, Strathcarron, IV54 8YS. it may have been used. All four mines seem to have been fairly low key and short lived operations for one reason or another. The Rassal Copper mine was being mined before 1762 and is said to have had copper of the best quality of any found in Britain. It was probably exhausted by the mid-19th century. Small amounts of Malachite and Brochantite can also be found in that area. The Lower Sanachan Copper Mine seems to have begun around 1903 and lasted until at least 1907, but the main lode was never found and the shaft was finally abandoned. mining stopped in this mine in 1914 and was never resumed. was in operation at the same time as Tornapress and was probably run by the same company. 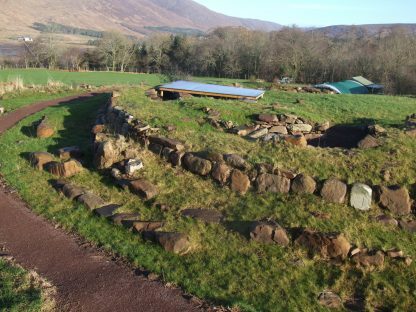 The archaeology of Lochcarron shows that people have inhabited the area since at least as far back as around 7500 BC, when a few small groups of hunter gatherers were moving up and down the coast and the islands. By 2000 to 2200 BC the first farmers arrived by sea from the south. 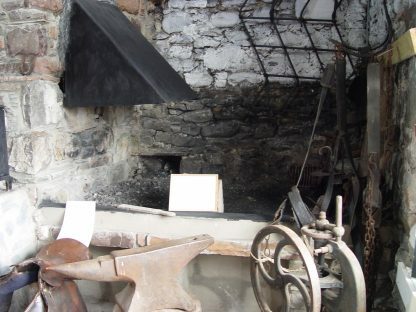 The restored Smithy and Forge offers an interesting exhibition of local history with video, old photographs and historical booklets. A Picnic site and walk also form part of the attractions. 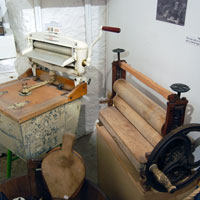 The Gairloch museum takes you on an in-depth journey through the ages showing how local people lived and worked in Gairloch. The Museum is laid out in a user friendly way; it starts with the lighthouse, not a full height one just the lantern room, reflectors and light. From there you move on to a prehistory Pictish stone incised with a fish and the part picture of an eagle. 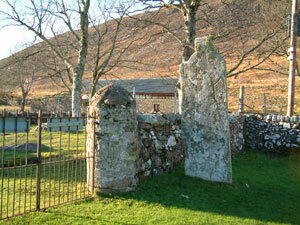 The stone dates from around 500AD and is a very unusual find for the west coast of Scotland. Most of the rest of the exhibits are from the 19th and 20th century and cover mostly crofting related artefacts and home industries that were necessary for survival back then. It explains the collections with clear text which gets the message across simply. You will learn what made Gairloch and its people tick, and read and hear some of the memories of those who lived there. In the grounds you can inspect the locally built and owned fishing boat, no engine, no life jackets and no radio truly leaving man against the sea. In comparison to today the rigours of earning a living off the sea in these small, open craft would have been arduous. If tracing your ancestors is your thing the museum is renowned for its large data base. Genealogy can be a very interesting and rewarding pastime, but time consuming. It is essential to be well organised for your visit to get the most from it. Go armed with as information as possible- your list should include specific names, dates or locations. 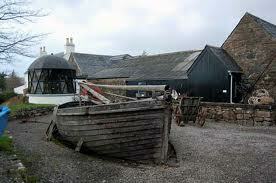 In all Gairloch Heritage Museum is fascinating and a good example of what a local museum could and should be like. Gairloch Heritage Museum is open from April (Easter if earlier) until the end of October, between 10am and 5pm, Monday to Saturday. Contact the museum for rates on groups of 10 or more. Visiting Armadale Castle on Skye is excellent value and well worth the moderately priced entrance fee, and the one and half hour journey from Applecross. 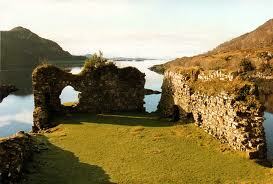 The Castle is situated in Sleat (pronounced slate) on the south part of Skye. This area is often over looked by visitors who are so eager to “do” Skye they drive straight past the discreet turn off in favour of the straight fast road north. 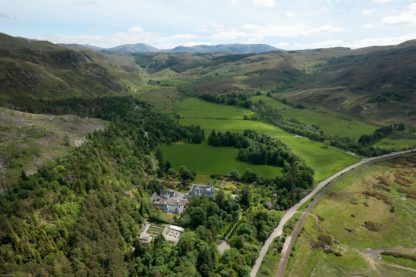 The attraction is set in a magnificent 20,000 acre estate and consists of Castle ruins, The Clan Donald Centre, 40 acres castle gardens, woodland walks, a few shops and the Stable Restaurant. The museum is well stocked with interesting artefacts from the from byegone era of Clan Donald's illustrious and blood thirsty past, Trip Advisor has described it as “the best museum in Scotland”. The quantity of information displayed may prove tiresome to teenagers, kids or anyone not interested in Scottish heritage, but if you are interested in heritage you will not be disapointed. The Castle and Centre was built around 1790 and would be better described as a mansion house although the castle is in partial ruin. 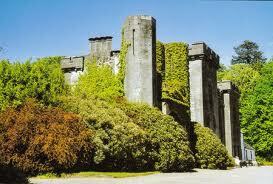 The ruined portion of the castle is well used as a garden ornament or folly and is coved with a jacket of colourful climbing plants. The Gardens are probably the central attraction, especially the ponds, The views across the lawns to Mallaig and the mainland of Scotland are quite breath taking. A few famous historical people have visited Armadale over the years. Flora MacDonald, often depicted as Bonnie Prince Charlie's love interest, who helped him to flee Scotland after the disastrous Jacobites' defeat at Culloden, was married there on 6 November 1750. Samuel Johnson and James Boswell visited in late Summer /Autumn 1773 whilst writing the travel narrative 'A Journey to the Western Islands of Scotland' (1775) about an eighty-three day journey through Scotland and the Outer Isles. This could be described as a precursor to the modern travel guide. The woodland walks or nature trails on the grounds could keep you hiking all day. One trail takes an hour, another much longer. 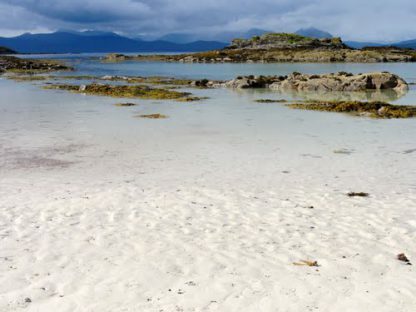 There is ample opportunity to stop and indulge yourself with the breathtaking views, plant life and wildlife Sleat has to offer. Of the three shops on offer, the one at the entrance and the one beside the restaurant can be seen without paying the entrance fee. The one in the museum however can only be accessed after you've paid. It is also possible to visit the restaurant without having to payi the entrance fee and I can thoroughly recommend it. The Stables has a lovely atmosphere and serves nicely prepared food at very reasonable prices; the service is of a good standard too. There is little to find fault with at the Stables. Main courses come in at around £7-10 and are good quality. Young visitors can enjoy exploring the museum with our Children’s trails. Dunvegan Castle is about a 2 hour drive from Applecross and is worth the visit if you are touring the area, I would however include more than just this attraction if you're out and about for the day. 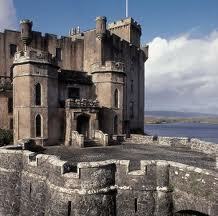 It is situated in the north of Skye about one and a half miles outside Dunvegan village. The attraction consists of the castle and museum, formal and not so formal gardens, shops and a café.The Castle has over 800 years of bloody & vivid history to be told within the walls, all cloaked in a 19th century romantic façade. It is the seat of the MacLeod of MacLeod, chief of the Clan MacLeod, and is the oldest continuously inhabited castle in Scotland. It first opened its doors to visitors in 1933 and since then, the castle is consistently ranked as one of Scotland's premier visitor attractions. Over the years, the castle has had many historical and famous visitors like Sir Walter Scott, Dr Johnson, the Japanese Emperor Akihito and Queen Elizabeth the 2nd. Currently visitors can enjoy tours of the castle and highland estate, take boat trips on Loch Dunvegan to see colonies of common & grey seals as well as a large variety of sea birds. Activities in the area range from walking, fishing and sightseeing to fine local cuisine.The castle museum is home to a number of curious and important clan relics, among them are the Fairy Flag the Dunvegan Cup and Sir Rory Mor's Horn. A trip down to the dungeon should not be missed, in fact I believe it one of the highlights, A chilling reminder of the poor unfortunates incarcerated there in bygone days. It is noticeable that a lot of time and energy has been directed to maintaining and developing the garden. From the level of the castle you walk down into the gardens. Even when wet and blustery weather prevails, the huge trees and the large wall provide the garden with some shelter. In summer there is a colourful display of annuals in the well developed formal garden. Dunvegan is open April-October but each season has its own charm due to the seasonally changing foliage, the waterfalls, ponds and woodland areas. After touring the castle and gardens you can have a delicious lunch in the café situated adjacent to the car park. Service is fast and friendly, but can take longer if they are busy. Isle of Skye, IV55 8WF. Strome Castle is about a 40 minute drive from Applecross and you should be able to fit in an other few stops in the day, maybe Armadale Castle or Eilean Donan Castle. It is situated on the shores of Lochcarron at Strome commanding fine views westwards to Skye and the Applecross peninsular. 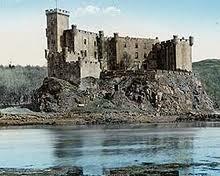 It was built around 1400 by the MacDonalds, and is first recorded in 1472 as a stronghold of the Lords of the Isles. In 1539 King James the V of Scotland granted the castle to the Clan MacDonell and Hector Munro, chief of the Clan Munro who was constable of the castle for the MacDonalds of Glengarry. Today's Strome Castle has a slightly sad and neglected air. The ruined castle sits hauntingly on a rocky promontory jutting seaward to Lochcarron, Its position is a strategically important one guarding the north side of the narrows near the mouth of Lochcarron and the ancient ferry crossing there. 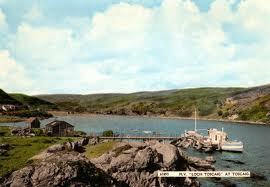 Its position, on a rocky promontory is protected by steep banks down to the shore and sea, on three sides. The Castle is now a complete ruin thanks to Kenneth MacKenzie, Lord of Kintail who blew it up after a tiff with the MacDonnells of Glengarry in 1602. All that remains of the tower is a heap of rubble but substantial sections of the walls of the adjacent hall still stand. The story goes that Kenneth Mackenzie was on the point of giving up his prolonged siege when, one night, some MacDonald women taking water from the castle's well accidentally poured it in the barrel containing the castle's stocks of gunpowder, rather than in the barrel containing their supply of water. A Mackenzie prisoner in the castle overheard the argument that followed and in the confusion escaped to inform Kenneth Mackenzie that the castle was now effectively defenceless. The MacDonald garrison negotiated their surrender and safe passage and, after they had departed, the MacKenzies blew up the castle, leaving it very much as you see it today. I'm not sure how true this story is, but if it is, it shows the incompetence of the MacDonald garrison, firstly to store water in the armoury or any where near powder and secondly to allow a prisoner to escape, were the doors open? I reckon this is at least partially a victor's history. In 1939 the ruined Strome Castle was given to the National Trust for Scotland and today the castle comprises a hall and the remains of a square tower. Access is an issue for this site. Stout boots should be worn and only the able bodied should clamber up the steep sides to the hall. But this lends itself to a sense of exploration, the lack of notices, even paths or excessive visitors makes the silence more eerie. The noticeboard shows a reconstruction that suggests Strome Castle was a tower house. If so, it would have been truly spectacular in this location. There is no charge for the visit. Eilean Donan Castle is about 1 hour 20 minute drive from Applecross and of all the castles in the vicinity it is probably the most famous, because of its picturesque fairy tale looks. Photographs and appearances in film and on television are regular and numerous. 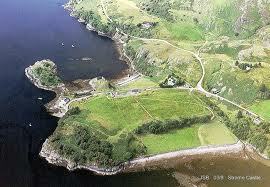 It is situated on a tiny island a stone's throw from the shores of Loch Duich next to the village of Dornie. 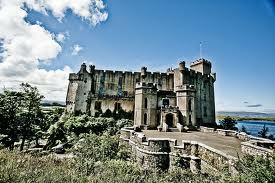 The attraction consists of the castle, a visitor centre, gift shop and restaurant. There is ample parking where coaches pick up and off load passengers on a regular basis, making it probably the busiest castle on the west coast of Scotland. Eilean Donan, the island, is named after the Irish saint Donnan, who is said to have established a church there in 617AD, although no trace of the church has ever been found. It is believed that the island,s first use as a strong hold, was during the iron-age. 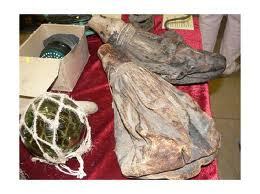 Evidence for this is was the uncovering of a vitrified fort in 1912. Unfortunately early archaeological excavations were not as diligently recorded as they are today so no records exist today. A 13th century large curtain-wall castle is the earliest known castle on the island and was on the boundary between the Lords of the Isles and the Earldom of Ross. Eilean Donan provided a strong defensive position against Norse expeditions and by the late 13th century it had become a stronghold of the MacKenzies of Kintail. A tower house or keep was added at the north-east corner in the 14th century, and in the 15th century a smaller defensive enclosure was erected. 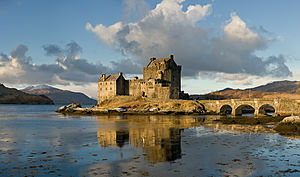 Having lost control of the castle in the 14th century, the MacKenzies obtained a charter of Eilean Donan in 1509, and in 1511 the MacRaes, as protectors of the MacKenzies, became the hereditary Constables of the castle. The downfall of the castle came in 1719. A small Spanish garrison of 300 were holed up there after the failed uprising in the support of the “Old Pretender”. The main Spanish invasion did not come and in April 1719 the Royal Navy sent three ships to capture the castle. After heavy bombardment the castle fell with little resistance. The ships then spent the next two days demolishing the castle (it took 27 barrels of gunpowder). The Spanish prisoners were put on board HMS Flamborough and taken to Edinburgh. The remaining Spanish troops were defeated on 10 June at the Battle of Glen Shiel. 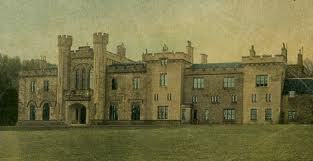 The castle was restored in the years between 1919 and 1932 by Lt. Col. John MacRae-Gilstrap. 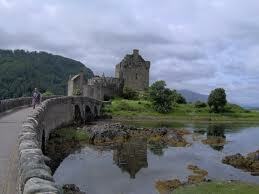 The restoration included the construction of an arched bridge to give easier access to the castle. 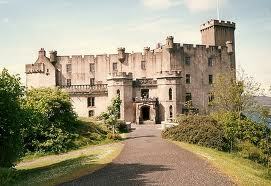 In 1983 The Conchra Charitable Trust was formed by the MacRae family to care for the castle. A grey field gun from World War I, positioned outside the building next to a war memorial and fountain is dedicated to the men of the MacRae clan who died in the war.